The word "beauty" may not be the first thing that comes to mind when you take a gander at the hideously deformed creature of superhuman size and strength. He's got more than a few wrinkles (especially for his age) and that droopy eye thing, is, well, a bit of an eye-sore to look at. But Toxie's beauty is not skin deep, but rather, deep within. What he may lack in more traditional good looks, he more than compensates for with his glowing (sometimes, literally glowing) inner beauty. You can't judge a book by its cover, and you can't judge a monster by how horrifying he may appear on the surface. When I see Toxie, I see nothing but beauty. Do you see it too? There's no other way to say it. Toxie cares. He cares about his friends and family. He cares about his hometown of Tromaville. He cares about poor, defenseless kittens caught in trees. He cares about the elderly and disabled folks being taken advantage of by corrupt politicians. He cares about cute kids wearing footsie pajamas (and not just because they are the children of the director). Toxie cares. He is by far the most compassionate person-er, monster, I have ever had the pleasure of knowing. What words are you thinking about in the new year? Did you enjoy this post? 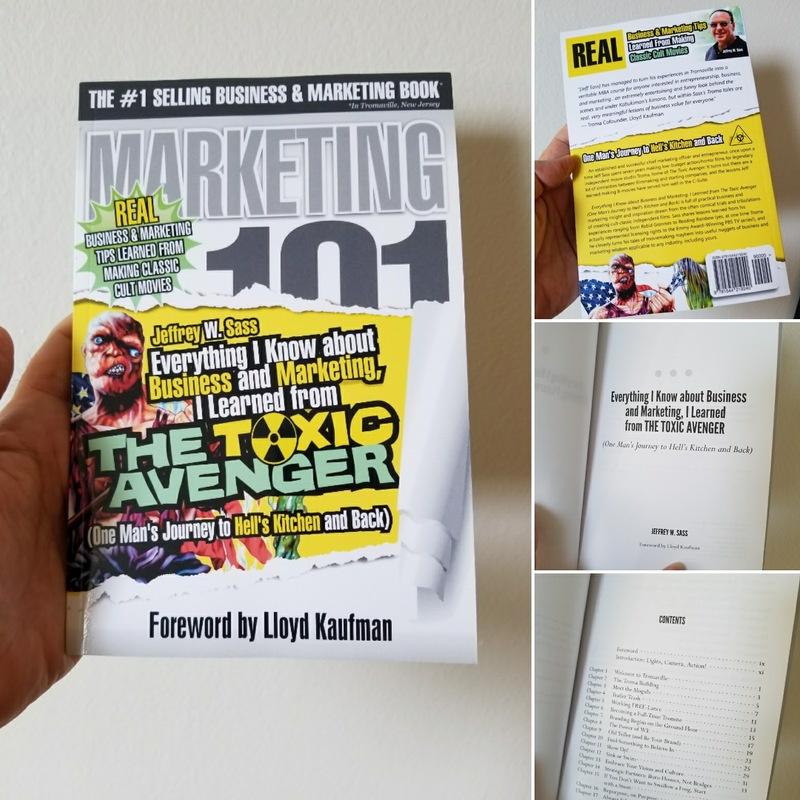 Please share it, or even better, buy the book! 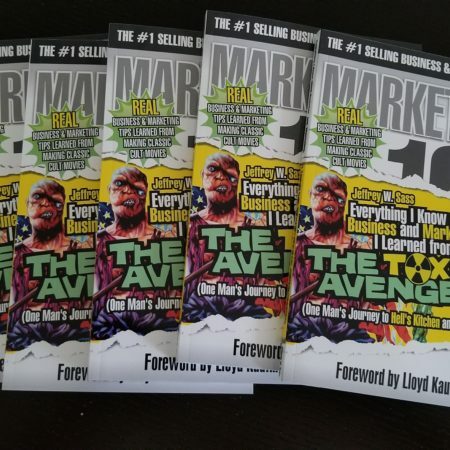 Mark Struczewski calls himself “Mister Productivity” and with good reason. He’s singularly focused on solving productivity problems. 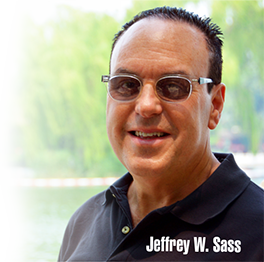 Through his website, speaking, coaching, and podcast he brings valuable productivity advice to thousands. 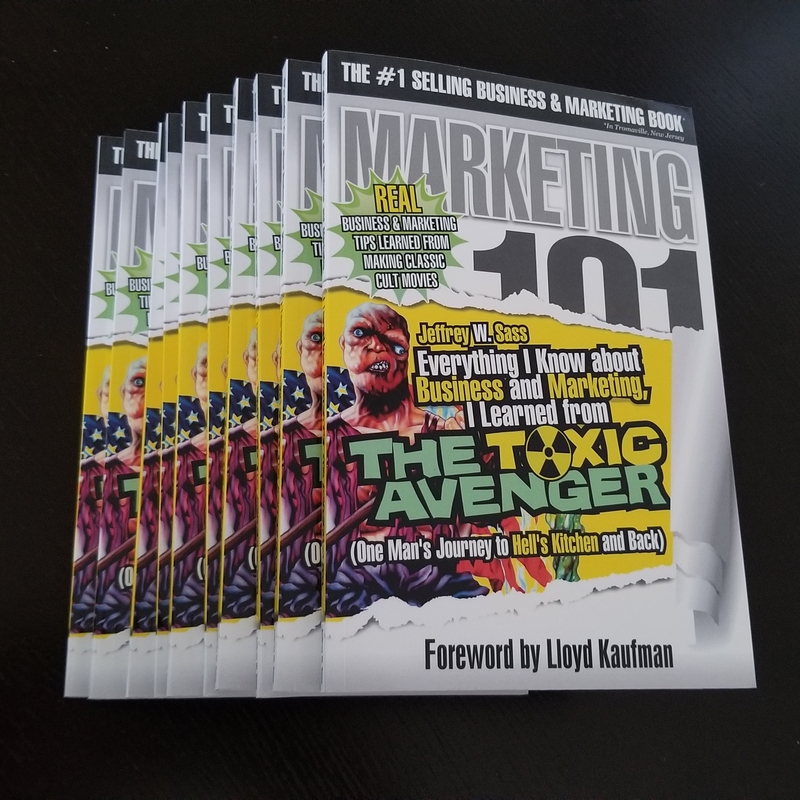 With that in mind, when Mark invited me to be a guest on his show I focused on lessons I learned from making movies that have an emphasis on productivity. 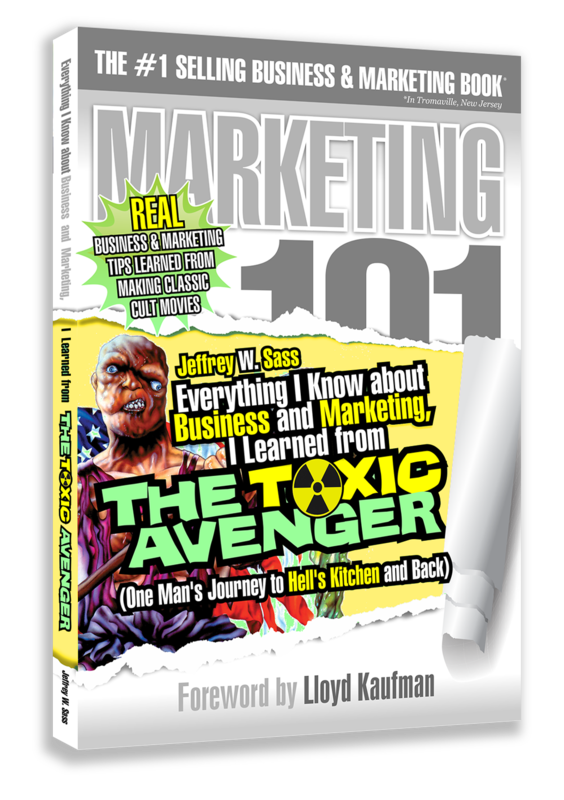 The truth is, even though my book is called Everything I Know about Business and Marketing, I Learned from THE TOXIC AVENGER, a lot of the learnings I gained from filmmaking are indeed productivity related (and not just about marketing). Mark is a smart and passionate host, and he had some great questions as he had read my book in advance of our talk. To listen, click here or on the player embedded below. 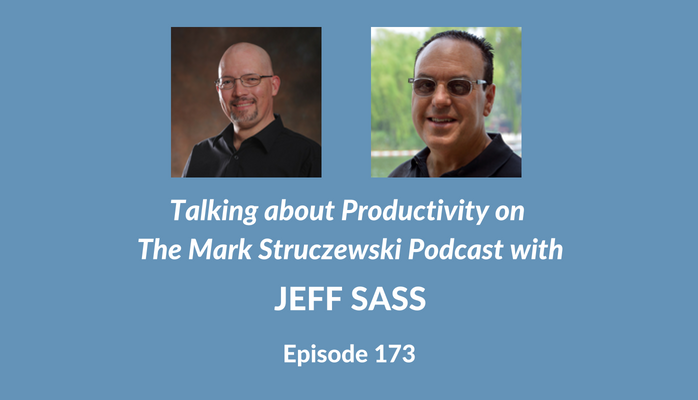 I hope you enjoy it and find some value in the productivity advice we discuss.